Web Series. It’s a thing. It’s a BIG thing. While web series were initially born from traditional forms of entertainment, now they can almost be said – to define the new ways we are entertained. Especially in our jet-fuelled social media era. 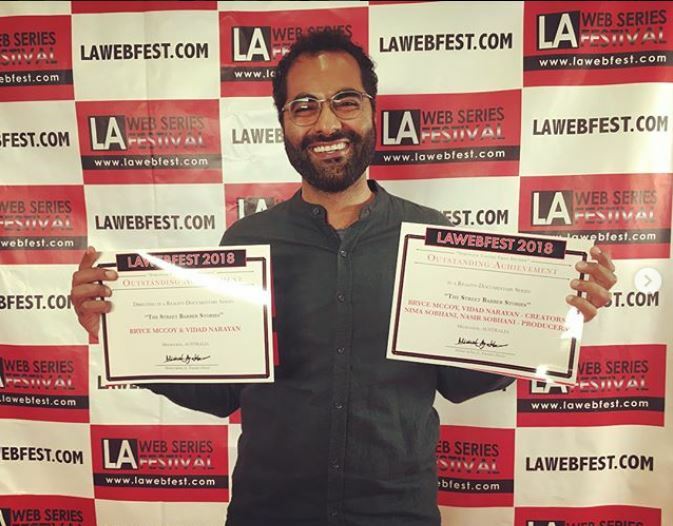 Earlier this year I represented Round 3’s web series The Streets Barber Stories as an Official Selection into the LA Web Festival (LAWF). My first sojourn to the mecca of entertainment, where dreams are made, created, fabricated; Los Angeles. It was all very exciting. Not only as a holiday, but an opportunity to screen the series and talk at a couple of panels the festival had organised. And it was all happening at the Sony Studios Lot (where they once filmed Gone With The Wind!). This was our 2nd time screening the series at a festival specifically created to celebrate web shows, of all genres! Back in 2017, Streets was official section in the Melbourne WebFest. Another fantastic festival that celebrates all kinds of web shows being created and released on the inter-webs. These projects ranged from dramas, soap operas, comedies, talk-shows, thrillers, fantasy and sci-fi’s, skit shows, reality shows, documentaries (that’s where our series fit), and many many others. See Round 3’s The Streets Barber Story Episodes here! The advent of streaming services is a GIANT contender in the entertainment industry ring. ie (Netflix, Amazon, Hulu, and now even YouTube Tv! ), it’s evident already how far things have come for audiences. Yet, this world-of-web platform is also posing some very interesting situations for those of us working in the ‘industry’. As I sat in a LA Web Fest screening session playing a wide mixture of shows back to back. There sat Andy Kindler (Everybody Loves Raymond, Maron, Martin) in front of me watching an episode of “But I’m Chris Jericho” which he acts in. Behind me sat the writer/ director/ producer/ star actor/ shooter of a web series made with DSLR in his bedroom/ set. Both in the same session. My mind was blown by the energy and the potential of what this poses. To some extent I imagine it felt like this in the mid 90’s. Where independent cinema was blooming, with likes of Kevin Smith, Steven Soderbergh, Robert Rodriguez – transforming the Hollywood machine. OK, perhaps not quite the same, but there is definitely something similar going on. We all know TV is no longer where it is. Films that aren’t blockbusters struggle to get into the marketplace let alone get seen. And the internet now is all the rage. How long do you spend on your phone scrolling Facebook and YouTube? That’s where web series creators are taking the early years of streaming services and interactive entertainment. The interactive part is a pretty important key difference of this world too. Now you as the audience can speak directly to the creator with a few clicks on your keyboard. About how much you hate, love or even have constructive criticism for something that is currently being made and produced. Creators dealing straight with their fan base and marketplace. The other great thing I found through going to these festivals is how strong the web series community is. Everybody knows each other, or is very keen to get to know you, and are super passionate and supportive of each others projects. Generally being low budget productions, people are very interested in learning and helping their community. It felt like being embraced into a secret club that I didn’t know existed; and it was there with arms wide open. It’s an amazing world for filmmakers like us, who create and release work online. To then be celebrated in such a fashion worthy of any awards show! LA had the red carpet laid out, a theatre full of tux’s and gowns, and even a jazz band to play you out if your acceptance speech went on for too long! 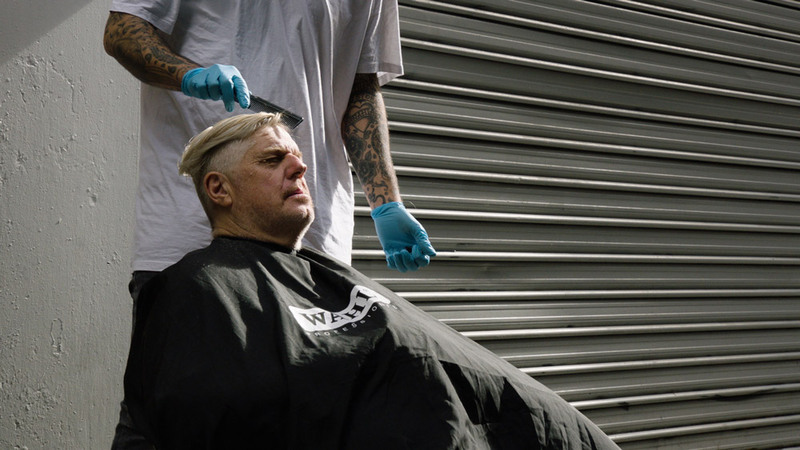 For us, The Streets Barber Stories (TSBS) was a spark of passion – turned into experimentation and a “just give it a go” attitude. We simply wanted to make something interesting and different. We didn’t have a studio or stakeholders banking on what we were doing. It was just us deciding the path and working it all out; we answered to no one but ourselves. It was a constantly evolving process, also used as an opportunity to hone our skills within the doco-reality realm. We released episodes online sporadically, without expectation. Not knowing there were even opportunities on a festival circuit. As TSBS doesn’t fit the tradition guidelines of film festivals, even for shorts. Projects like this would of never had a chance at being seen 20 years ago in the 90s. Side Note: Have you seen Lindsay’s Streets Barber Episode? – Living on the streets on the Autism spectrum, Lindsay’s story is eye-opening, reminding us to always question our own preconceptions and judgements. That’s how the Internet and WebFestivals have made such an impact on the Industry. WebFestivals, whether they be physical gatherings like LAWF or even online help share lesser known works to larger audiences. But more importantly celebrating the makers and creators doing amazing work. There are so many success stories of those that have found their break through online videos. And the episodic style show is no different with the likes of “Broad City” or “Insecure” (fun fact Issa Rae screened her original web series “The Mis-Adventures of Awkward Black Girl“, in the LA WebFest back in the day too). Exciting time to be a filmmaker! It’s a very very exciting time to be a filmmaker! The internet has both made our world smaller and bigger at the same time. Smaller, being so connected right down to the individual level to the new communities created like Web Series Festivals. Bigger, creating untraversed pathways allowing us opportunities we never had before to get there.